Four Wall hangings: Each 10 1/2 x 23”. 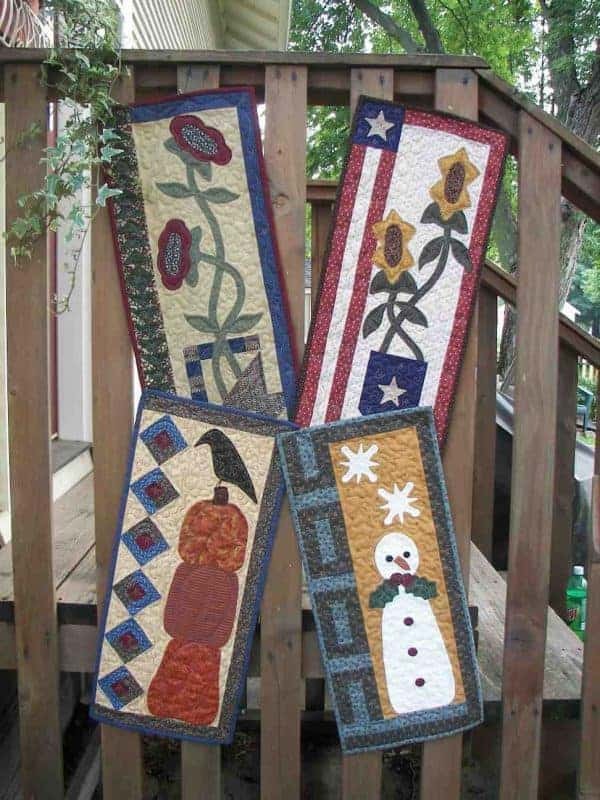 A wall hanging for each season! Flowers for the spring, stars & stripes for summer, plump pumpkins for fall and a jolly snowman for winter. Quick and easy projects! Fat friendly!